Oscar Pistorius's lawyers are trying to negotiate an out-of-court settlement with the parents of his dead girlfriend Reeva Steenkamp, The Times reported on Tuesday. Pistorius's lawyer Kenny Oldwage confirmed that they were in discussions with the Steenkamp family. "You will understand this is a very sensitive situation," he was quoted as saying. 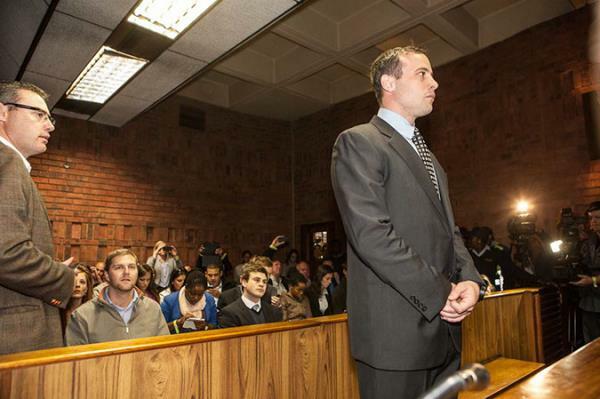 Pistorius's lawyers want to settle the lawsuit before the outcome of the criminal trial. Advocate Petrus "Dup" de Bruyn, for the Steenkamps, said "nothing has been decided on yet". Steenkamp's mother, June, declined to comment on the civil suit. "This is just too much... we are grieving... missing our baby... our beautiful, beautiful daughter who should have been celebrating her birthday today [Monday]," June Steenkamp said. Pistorius appeared briefly in the Pretoria Magistrate's Court on Monday for shooting Steenkamp on February 14 in his Pretoria home. His trial for alleged murder was set for March 3 2014.